Cobalt proudly provides security services, security guard services, and complete security solutions with unmatched expertise and professionalism in Ventura County and the San Fernando Valley of West Los Angeles County in California. Recognizing that protection requirements are unique to each site and situation, our private security specialists in California work closely with each client to formulate a customized security plan that is as functional as it is effective. With our clients’ safety and security at the forefront, our highly trained, proficient, and personable officers are equipped to consistently deliver protection for persons and property alike. If you have questions or are ready to get started, please contact us today. You can contact us via our website or give us a call: 866-819-2611. Our California Security Service team is always looking for qualified members. Think you have what it takes? We’d love to hear from you. Professionalism is indispensable not only for establishing trust with a client and making them feel safe, but it is also essential in projecting an image of seriousness and gravitas to anyone considering breaching a secure zone established by a guard. Whether protecting persons or property, time and again Cobalt’s California clients were satisfied with the appearance, attitude, alertness, and focus of security personnel. This is why we actively recruit and hire qualified individuals from the military, intelligence, and law enforcement communities. Cobalt understands the adaptive nature of security and works hard to ensure that the security guards placed on your site have been trained accordingly. The training does not stop once the security guard is assigned to a post, but is an ongoing exercise in continuously developing each security guard. Our on-staff instructor has years of security training experience and understands the unique nature of the industry. It is our commitment to develop our security guards by blending security philosophy and principles with the skills required to professionally interact with personnel at a client’s site. 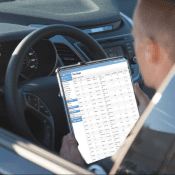 To reduce the paperwork and time associated with traditional security report filings, Cobalt Security Services has partnered with SilverTrac Software. SilverTrac Software allows Cobalt Security professionals and clients access to security guard daily activity reports. This 24/7 transparency makes our security service second to none. 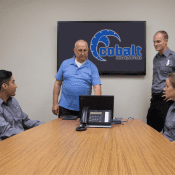 You are invited to contact Cobalt Security Services via our website or give us a call at 866-819-2611 to experience our excellent customer service firsthand. We would be delighted to discuss your security needs and provide a free area assessment and quote for your site. Integrating Cobalt Security’s Professionalism, Training, and Technology into your private security plan in California will not only enhance security, it will also enhance your image. 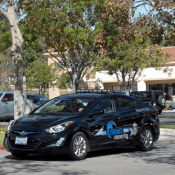 Located in Westlake Village, CA, Cobalt Security Services territorial focus is on the communities of Ventura County and the San Fernando Valley of West Los Angeles County. Cobalt Security provides security guard services, complete security solutions, private security, event security, armed security, and unarmed security in Ventura County and the San Fernando Valley of West Los Angeles County. All photos on the site were taken by Ron Cobert. Design and Hosting Provided By Coursevector LLC.